Behavioral Interventions--For Kids! : You sure are Cranky! Oye! Is that a cranky face, or what? 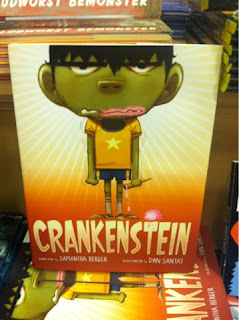 I was walking around Barnes and Noble with a client and saw this book and thought: Totally a PSR book! The story is super cute and the main character talks in 'frankenstein speak' the entire time...think lots of 'urgghhhhgs' and other fun sounds. This is great for little ones! 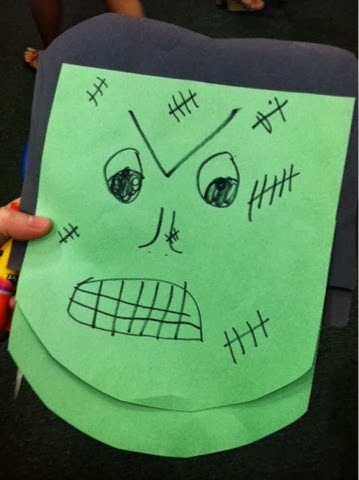 I had my client make his own Crankenstein mask (you know, that super cranky face they make) and we used it to role play. Have them make a happy face on the backside, that they can flip when you make Crankenstein disappear! Also, you should most certainly encourage 'frankenstein speak' while you are role playing. Makes for some funny stares at the store...but, also a fun way to learn coping skills and feeling education, with a Halloween twist! !